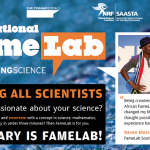 We are excited to announce that the FameLab South Africa 2015 regional heats have come to an end and we are now heading to the semi-finals and finals at SciFest Africa, in Grahamstown. The SAASTA sponsored heats were held at the University of Limpopo, SAIAB in Grahamstown and at the Cape Town Science Centre. 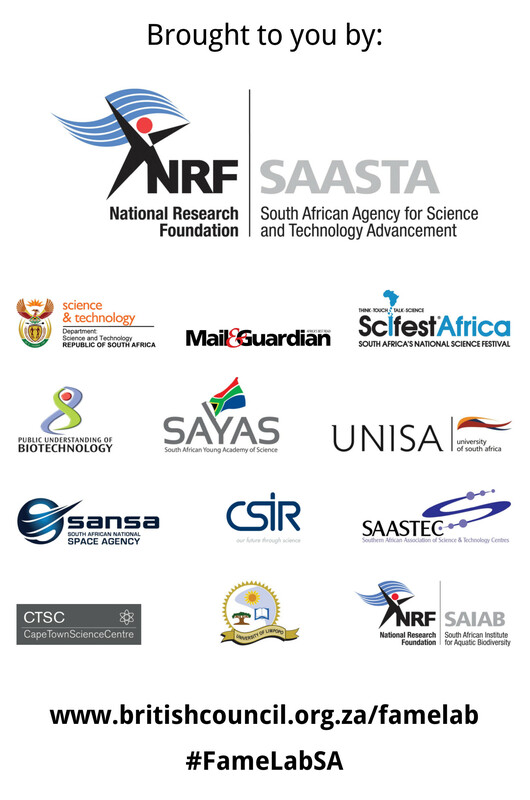 There were additional heats hosted by UNISA and CSIR in Pretoria, and by SANSA (South African National Space Agency) in Pretoria and Hermanus. Agent Zee (www.agentzee.org) also hosted a heat which was held at the University of KwaZulu Natal, Pietermaritzburg campus. Young and brave scientists were all determined to entertain and excite with their science. 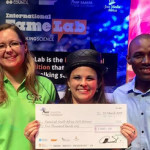 We are grateful to all our sponsors and judges for all the support they gave to make sure that FameLab SA 2015 was bigger and better. Masterclass trainings take place on the 17th and 18h of March. The semi-finals will be held on the 19th with the finals on the 20th of March 2015. To see the gallery of photographs of the finalists, please click here.